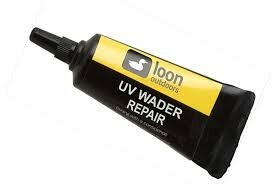 On-the-stream wader repair. Just dab over the tear or hole, and expose to the sun. Also works to secure knots.